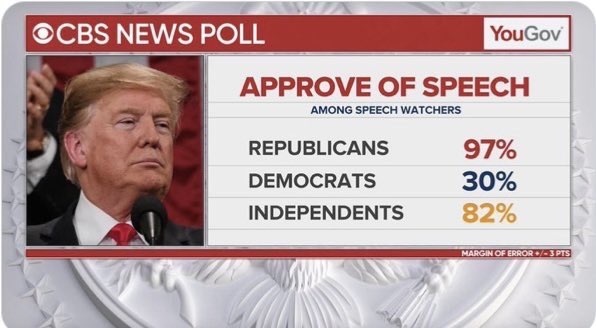 This is only based on those that actually took the poll … I’ll bet his percentage is ‘quietly’ higher with Democrats too. This entry was posted in MEMES, NEWS, PRESIDENT TRUMP, SOTU 05FEB2019 by Republic for Michigan. Bookmark the permalink.